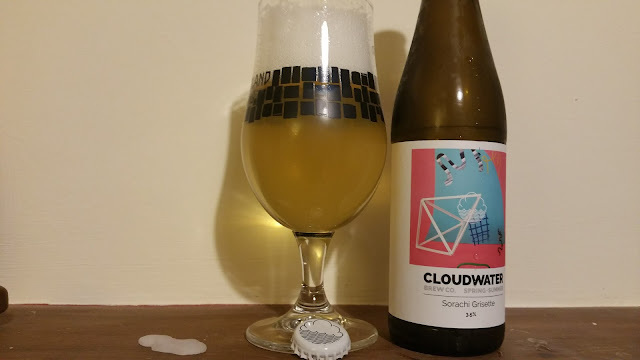 Cloudwater has been making a bit of an impact in Ireland over the last year. Personally, I find they can be a bit hit and miss though usually they are a hit. I really love the name and the artwork as well as the interesting styles they come up with. I picked up a few cans in Northern Ireland at The Wine Rack. The Vic Secret Sour IPA for instance was just the right level of tartness bordering on sour for Pauline to appreciate as normally she hates sour beers. Two older Cloudwater beers I got from Steve's stash were enjoyed very recently. The Session IPA Simcoe Centennial was pretty good but certainly not fresh. It was pretty well balanced with a nice bitterness and lots of lemon citrus. 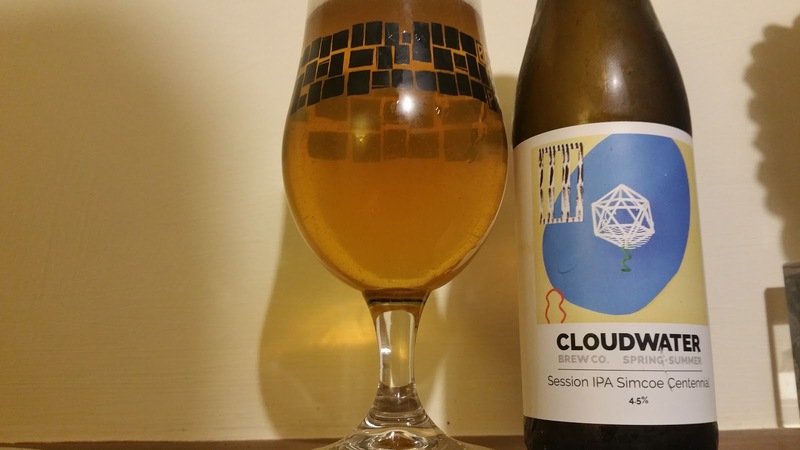 At 4.5% it's a bit on the high side to be called a session IPA though. The Sorachi Grisette on the other hand was 3.5% of refreshing lightness. I don't usually like Sorachi Ace as a hop. I usually find it soapy and so it was here but it was tolerable. 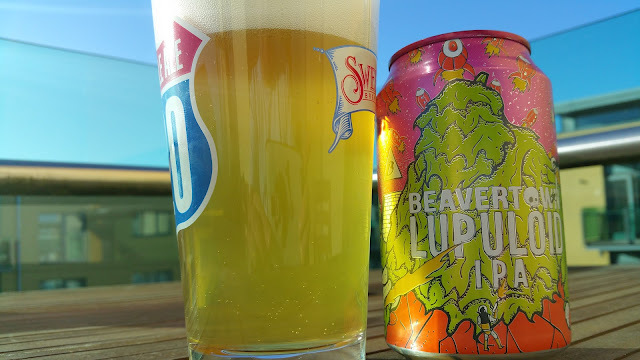 I also picked up this Beavertown Lupuloid IPA. Doesn't it look stunning in the sun? 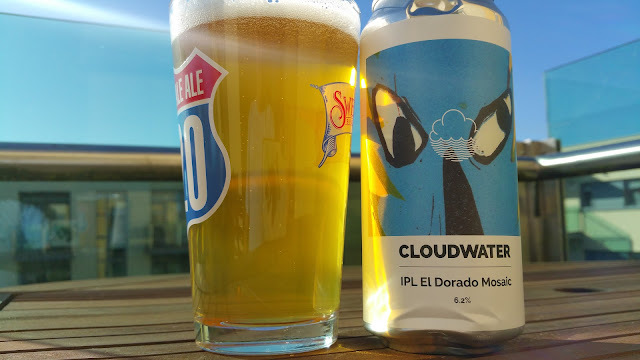 It's a big 6.7% IPA that was hop fresh and full of citrus lemon and orange along with some pineapple for the craic. 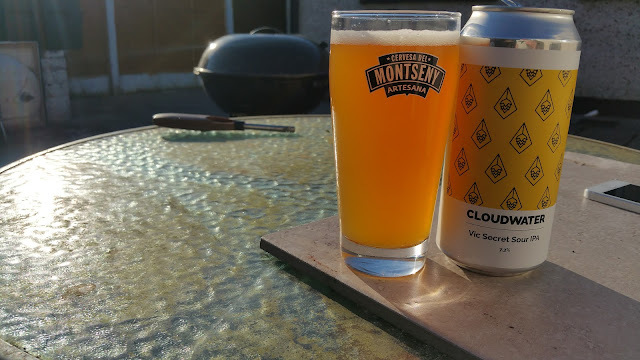 I'm actually getting bored of these juicy NEIPA style IPAs that are all juice and no bitterness. This on the other hand was great. A fantastic bitterness to balance out the beer. It's a bog standard, straight up, unpretentious IPA. An IPA as it should be. An IPA as they used to be before they became children's juice.